In the last few years I have become interested in living a more simplistic and slower paced life. Savouring the everyday moments, where I live by the seasons, follow the lunar cycles and the energy levels of my menstruation cycle. As my interest increased I started to implement a few of the elements that appealed to me. My journey to a slower and more simplistic lifestyle really kicked in when I fractured my ankle at the end of November 2017 and found myself wearing a moonboot. Looking back I realised I had always lived life at a quick and busy pace. Being busy was something that I wore as a badge of honour and was proud of. The busier I was the happier I thought I was. However the reality of being busy put me on a collision course with depression and burn out not once but twice! With age comes wisdom and I had to ask myself whether I wanted to stay busy or whether I wanted to enjoy and savour life’s moments? I chose the latter. I am not going to lie, it was hard at times saying “No”, and to stop filling up my calendar and to physically stop being busy. I also realised that I am an active relaxer, and had gotten into the habit of always having to do something when I had some downtime. Lordy, I think the only time I truly relaxed was when I slept. 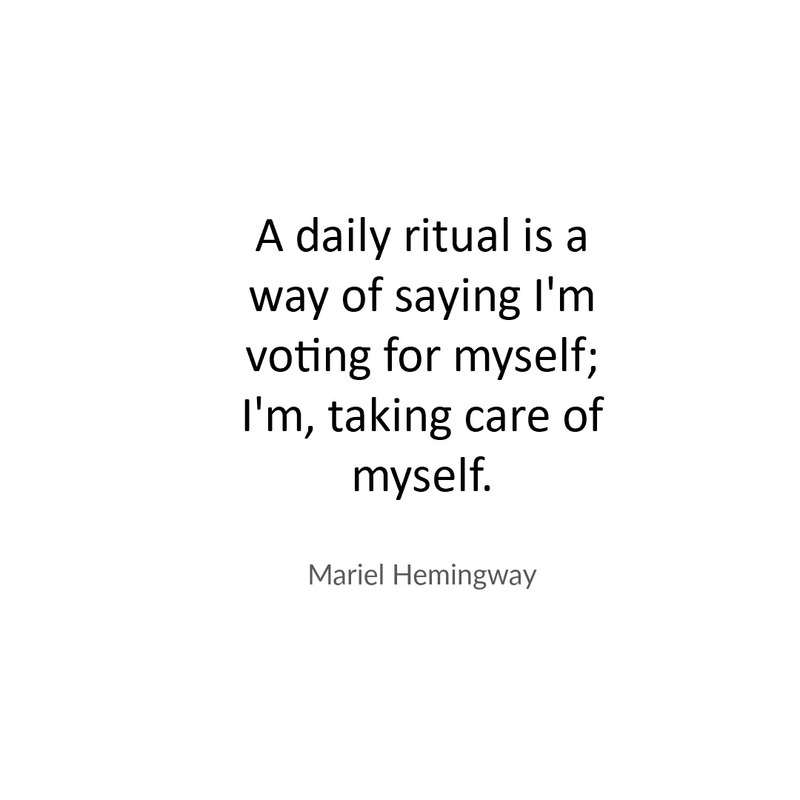 While I have made some great changes one of the things I have been working on this year is how to incorporate rituals into my daily routine. I already had an evening ritual in place however in the last month I have added listening to a guided meditation to this ritual. To be honest I generally fall asleep within 5 minutes of it, however I love the fact that I am still subconsciously listening to it. Another unexpected spin off was hubby has found he sleeps better as a result. There has been two times where he hasn’t played it and found his quality of sleep was crap. While I have had an evening ritual in place for a long time, I realised that it would be a good time to create a morning ritual to start my day off. I like the idea that I start and end the day with something that is personalised and sacred to me. My next post I will share my morning ritual with you.